Matt is a PhD candidate in the Fisheries Science program at OSU. 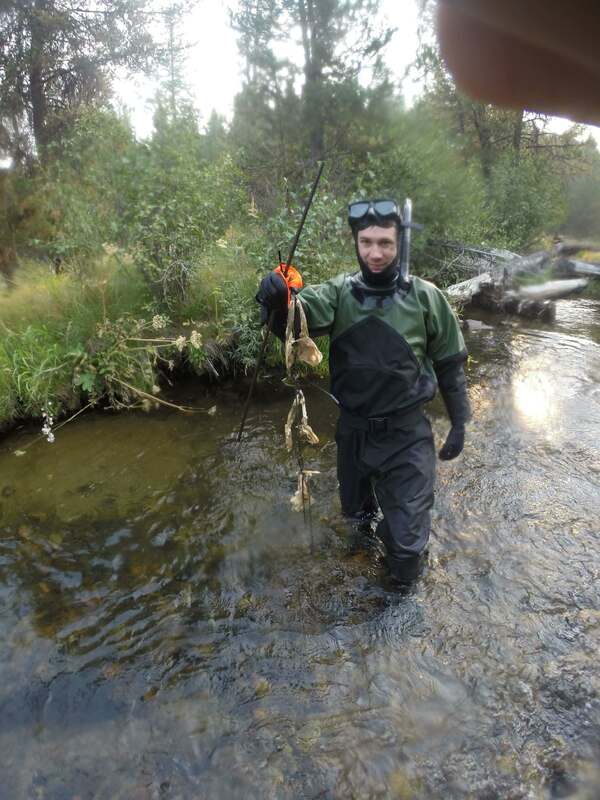 His research focuses on how stream food web structure and productivity can regulate salmonid productivity. 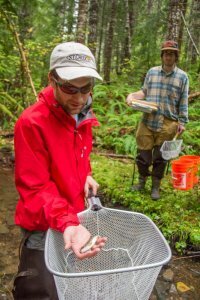 In western Oregon, Matt’s research has focused on how riparian timber harvest and long-term recovery from timber harvest can influence stream habitat, light reaching streams, and the productivity of the food web from algae to cutthroat trout. 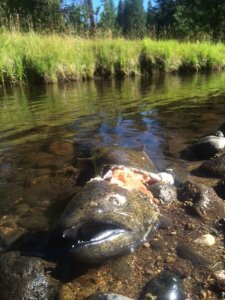 In eastern Oregon, his work has focused on how losses of spawning salmon and the nutrients they transport to headwater streams may be altering food webs and ultimately juvenile salmonid (spring Chinook and steelhead) growth and survival. Collectively, he hopes his research encourages others, especially in management, to consider the importance of stream food webs and the drivers of food web productivity in addition to physical habitat structure.